Hat does this video have to do with martial arts, a woman walking around New York City for ten hours with a hidden camera following her every step? Well, help me out a little here…am I teaching inside a vacuum? Is the Dojo, the Kwoon, the Dojang worlds apart from daily life, insulated from society, from civilisation itself? The women and the girls I – we – teach, are they token lives that flit in and out of our martial culture , second-class disconnects? As far as this blog goes, some of you may by now consider me to be a sanctimonious priss with the “Women Advocacy” button beneath the masthead and the occasional “rant” about how women and girls ought to lead fully realised, and to resort to an old Existential term – authentic – lives. A finger pointer who knows better than everyone else. Not in the least. Growing up in the boy culture of old Toronto, we started off as male kids believing that girls were “Yechh!, weird and soppy creatures we felt uncomfortable around and who were best excluded from our games and from our living space. Miraculously, according to the ideology boy teens adhered to, girls later on became valuable…as trophies. Boys lazily and stupidly slide into a type of comfort zone that requires no further thought other than a pro-jection of one’s fantasies onto a blank slate, the blank slate being the girl two rows over and three seats down. Some of us were reading philosophy at the time, and in that, and in our supposed superior sensitivity and world-awareness, we failed. We couldn’t grasp the basic concept that girls were free subjects, as much as we were. It takes a long time to truly learn when we bang lour heads against walls that we ourselves have created. So back to the video. I want the students I teach to be fully free subjects who have the opportunity to constantly invent and re-invent themselves to the fullest extent with all the opportunities life has to offer. That too involves how they occupy and interact in public spaces. 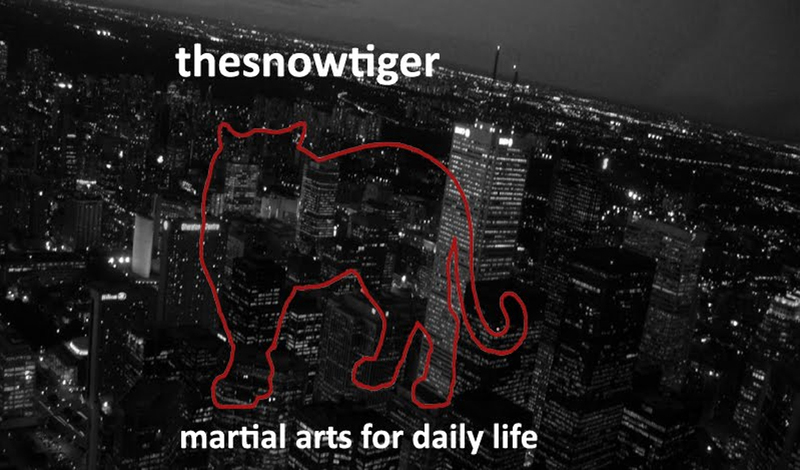 Anyone skilled in martial arts will immediately sense the “intent” behind the comments. They have nothing to do with a polite hello. Unfortunately, they lean toward the cowardly. Rather than physical touching, which would get them into trouble with the law, the boys touch the woman with their voices. The purpose is to destabilise her. 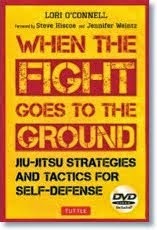 Bar fighters, board room bullies, etc., use the same tactics. Words hit, they search for openings, they climb onto her skin, they dig in. A man whom the woman would otherwise never consider as a mate, has put a dent into the peaceful rhythm of the woman’s everyday. Yes, she’s wearing jeans and a shirt – and hopefully some sort of shoe wear – because NYC sidewalks are hard. Well, then, let’s help her out. Let’s determine, as it’s done in many cultures, that she’s our sister or our mother. Jeans and a crew obviously draw uncomfortable remarks, so she should cover up more, and if that doesn’t help, let’s cover her up from head to toe. Now we’ve got her walking down Broadway only in one way, covered. What if that doesn’t help? Then we’ll have to take the next step: she has to be accompanied by a male relative. And if a male relative isn’t handy, then our advice is for her to stay home. What is a woman doing by herself in Central Park on a sunny day? Maybe she’s up to no good. How can a woman sit alone in a sidewalk café, reading? That sort of behaviour draws comments. What are those girls doing in front of the school, laughing? They make us uncomfortable. Perhaps they should be silenced. Do you get the lock step progression, an adventure of sorts for women, that has been going on globally since Lucy huddled against another as protection from the night? Like so much that pretends to be benign morality, it’s completely underpinned by violence. My goodness, she’s being noticed. She should soak up all the unwanted and unsolicited compliments. You know the next few steps: she’s not so “hot”; she’s not going to get any younger and progressively, there will be less and less of these charming comments thrown at her until – what? – she has become a shred of evidence of what a human being once was…a level of value that only others can determine. WHAT IF SHE’S A DOCTOR? Let’s then infuse the lady in this video with a certain history that’s instantly accessible to all the boys in the street. Let’s pretend that, like Nicole Kidman’s character in Lars Von Trier’s Dogville, she’s the daughter of a mobster. Would the boys be displaying the same level of affection if they could immediately X-ray beyond their stereotype? Not likely. In fact the displays of affection would bottom out to near zero just as the temperature in the street likely would as well. Why? Because she’s backed up by a group of very violent males. What if? What if she’s a really a surgeon who has saved hundreds of men from prostate cancer. Can’t you see the boys squirm before they open their mouths to bark. Makes them downright uncomfortable, that fact. Her being a doctor ratchets up her value. Just as in the old “Who-are-we-going-to-throw-overboard?” crisis scenario, if you’re smart, you don’t toss the medical staff into the sea because you just never know when you need their help. That’s why such a tremendous amount of fear exists in different parts of the world regarding girls’ education. Women who have a chance of becoming physicians, teachers, judges and engineers tend to upset traditional power structures. An oft-repeated exercise by learned men is to distance themselves from their original connection with women through a symbolic act of being born anew. Plato’s cave is, according to French philosopher Luce Irigaray, one of the first examples of this practise. Man turns his back on the darkness of ignorance and ventures out of the cave (and we all know what the cave itself represents) into the light of reason. A clean break. For the first time, man experiences purity and truth. Woman is left behind, in the realm of the senses. What if? What if she just happens to be a veteran of the Iraq war or perhaps she did a tour or two in Afghanistan and is, in a moment of supreme exuberance, enjoying a stroll down a street knowing she won’t be shot at. Correct me if I’m wrong, but does she have to be covered from head to toe or is she "asking for it" because she’s on leave and not wearing her uniform? Perhaps, as she strolls in the safe city where she was born – a space American soldiers give up their lives to protect – her mind returns to the horrible scenes she might have witnessed – of a woman being dragged across a street by her hair; of the faces of women eaten by acid; of little girls being sent off in marriage to old fools. Would all that make the boys of the sidewalk swallow their spittle? Let’s make the issue a bit more complex, just for the whistling chorus. She’s a surgeon who served in Iraq and is an Afro-American or she’s a Latino judge, top of the class at law school. It’s so easy to target lone women, especially from the marginalized or disadvantaged sectors of society. What?– you’re Afro-American and female. Good Luck! Since I’m sure the boys’ hearts are crowded with empathy, otherwise what purpose would they have in dishing up all those compliments to a complete stranger, let’s place one of them, it doesn’t matter which one, into the woman’s shoes…since empathy is after all the ability to picture oneself in someone else’s position. Let’s have him stroll down Main for ten hours and see if he appreciates the verbal flowers tossed his way. Are the petals as fragrant as he thought they were when he tossed them at the woman? Here’s a basic question – how come it’s always the woman’s fault? And how come she’s the one who has to make the changes…cover up, don’t walk alone in the streets, go hide, give up your life? In the name of “modesty” – a false term if there ever was one – let’s push the responsibility away from the innocent party back to where it belongs. Let’s place some kind of electrical device on the boys so that every time they think or act immodestly, they receive a mild shock. My God, but they’d be busy with themselves. No doubt, that would occupy their free time. Recently, I listened to a documentary on women in public spaces on CBC Ideas. Never mind Mumbai; even in Amsterdam, which I once considered to be progressive, there are problems when women assume their rightful existence in public space. Girls play in parks, schoolyards, playgrounds; as they grow older, the safe space allotted to them narrows…school, certain work places, malls. Safe times narrow as well. She can’t go here, she can’t go there. Violence roams public space, in search of woman. Have you seen the thoroughfares on Friday and Saturday nights, when the air fairly growls with “action”, eyes roving behind the windshields. I admire the boys who live through their mufflers. When you gun that engine, it must send shivers down the spines of the girls on the sidewalks. Are we civilized? How far have we come? Are public spaces enclaves of hate where we brand witches on sight and condemn those different from us men? Or are we strong enough to get out of women’s way so that they can walk from A to B without us making a play by play comment on their looks and actions?